Calvin Kester, elevator operator in the New York Life building, was severely injured yesterday morning just before noon when the elevator he was running dropped from the eighth floor to the basement. The elevator left the tenth floor with only the operator in it. When he attempted to stop at the eighth floor the brake failed to work and the car continued its downward flight with increasing velocity. When the car struck the bottom of the shaft Kester fell unconscious and was carried into the United States Trust Company office. An ambulance was summoned and Dr. Fred B. Kyger had the injured man removed to the emergency hospital. Upon examination Dr. Kyger found the man to be suffering from a strained back, a cut on the left leg and bruises on the body. The surgeon pronounced the injuries to be not serious. With Ax Handle and Routs Bullies. Owing to the pluckiness and nerve of his wife last night Joe Percival, 7 Park place, is alive today, although beaten and battered by a gang of ruffians and bullies. He needed treatment at the emergency hospital because of the cuts received at the hands of the gang before his wife came to his aid. Percival is the night man at the Gross & McNeal livery stable, 701 Brooklyn avenue. For some weeks he has had trouble with a gang of men and on several occasions has been compelled to run them away from the stable at night. threats were made to get him. Last night his wife, who is young and pretty, went to the stable to spend the night. About 1 o'clock this morning Percival went into the stable to put up a horse and was attacked by five or six men who had concealed themselves in the dark stalls. He was down on the floor being pummelled by the bullies when Mrs. Percival came to the rescue. A pickax handle proved to be the weapon which she wielded with effectiveness. The men scattered when she commenced to rain blows upon their heads. When she attempted to telephone for the police the gang tried to stop her by making threats of getting her, but she waved the pick handle aloft and dared them to start something. When the police arrived from headquarters only Percival and his brave wife were on deck. They were transferred to the emergency hospital where Percival had his injuries attended by Dr. D. C. Twyman. The thugs escaped arrest. A practical joke that wasn't exactly pleasant was played yesterday upon Michael Mile, 15 years old, who works at the Brunner Hardware Company, by other boys who work in the same department. The boy was thirsty and drank a cup of water which was placed in the work room. He was then informed that it contained white lead and that his life was in immediate danger. At the Emergency hospital, where he hastened as fast as his legs would carry him, he was placed upon the operating table and treated for poisoning, much to his bodily discomfort. An analysis by Dr. Fred B. Kyger and Dr. E. A. Pond showed that the water contained no white lead. The boy left, declaring vengeance. HAND CAUGHT IN A ROLLER. While working in the Swan laundry at 560 Walnut street last night, Mrs. A. R. Miles, 18 years old, of 893 Wayne avenue, Kansas City, Kas., was dangerously injured when her right hand was caught in a hot steam roller. Dr. Fred B. Kyger and Dr. W. L. Gist, surgeons at the Emergency hospital, treated the young woman. She was sent to her home. To ride a bicycle was the ambition of Fred Collins, a baker, 1526 1/2 Grand avenue, and yesterday afternoon he secured a wheel and went out on Kensington avenue near Independence avenue to experiment. He started at the top of a hill and when he reached the bottom the machine struck a telegraph post. Dr. E. D. Twyman of the emergency hospital was summoned and set a broken right clavicle. Causes Panic on City Street. Affected by the sun of the Kansas harvest fields, Lewis Wright of Paris, Ill., ran amuck at Seventh street and Grand avenue at 8:30 yesterday morning with a pocketknife, and began slashing passersby. Jennie Rolfe, 23 years old, a clerk, was stabbed in the left arm. She lives at 3010 Dunham avenue. Wright knocked another woman down with a brick, and ran several other persons away. Thomas Craig, an engineer, 2325 Chelsea avenue, Kansas City, Kas., was stabbed on the left hand and left shoulder. He retorted by knocking his assailant down and taking the knife away from him. A police ambulance took Wright to the emergency hospital. When he was revived by Dr. W. L. Gist, Wright said that he could remember nothing of what had occurred, except that he thought someone had stabbed him in the leg. He said that he had been prostrated by the heat in the harvest fields. He thinks he is married. Playing With a Toy Pistol. 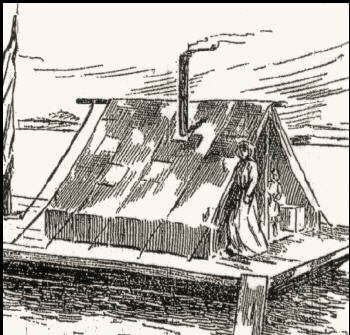 Mrs. William Sharp, 26 years old, 1025 Harrison street, was last night distinguished by being the first person in Kansas City to be injured by the premature explosion of Fourth of July noisemakers. She was in her home and picked up a toy pistol loaded with a blank 22-caliber cartridge. In some manner the cartridge was exploded and the index finger on her right hand was badly lacerated. She was treated at the emergency hospital. Cruelty Was Shown to Patients. Ten witnesses, most of them in rebuttal, were put on the stand yesterday by the defense, when the hearing before the joint council committee in the matter of the charges preferred against the management of the new general hospital was resumed in the lower house council chamber. In explaining how she came to tell a Mrs. Dougherty that a woman friend of the latter was "sitting up and doing well," w hen the woman was really dead, Mrs. Myrtle Keene, telephoneoperator at the hospital, said: "When the call came in the woman did not speak plainly, and all I understood was 'Mc.' I looked on the chart and found but one Mc., a Mr. McVey. I asked if McVey was the name and she was that it was. I was informed by McVey's nurse that he was sitting up and doing nicely, and told the woman so. "Later I learned that the woman was asking about Mrs. McKay, who had died the night before and whose card had been taken out of the chart at my side. It was purely a mistake and when the woman called up later and I tried to apologize she would not let me explain." A copy of the hospital chart for the date in question was introduced in evidence to show that McVey was the only "Mc" on the list that day. Peter Doran, referred to quite often as "Dad," said that he had not beaten a patient because the latter asked for a crust of bread, as charged by the promoters. He said he never struck a patient, and had never known of any such treatment. Doran said that F. A. Wolf, who made serious charges, had bade him a fond goodby when he left the hospital, and had volunteered to take along his hat and clean it for nothing, returning it two weeks later in person. Dr. S. C. James said the hospital compared favorably with any of its kind in the country. Dr. W. A. Shelton, police surgeon, told of his connection with the Charles Newell case. He said that Newell was taken to the emergency hospital soon after his injury and hurried out to general hospital as soon as it was seen that his case was serious. Although Dr. J. D. Griffith and Dr. J. Park Neal were in the operating room ready to attend Newell, Dr. Shelton said the injured policeman refused all aid and demanded to be removed to the German hospital, where he could be treated by Dr. J. S. Snyder. He died shortly after being moved. Fred Bowen, an orderly, explained how a patient named Starr came to leave the hospital. Money was sewed up in his undershirt, and when Starr was informed that he would have to leave it in the office for safe keeping, he dressed and left the institution, Bowen said. Rev. T. B. Marvin, an evangelist who has visited the hospital for the last sixteen years, and the Rev. J. C. Schindel of the English Lutheran church, told of their many visits there, and said they heard no complaints from the patients, although they had made close inquiry. Mr. Schindel told of a Mrs. Merkle, who had made charges. He said she had written him since, and stated that she had been asked to make the charges, which she now regretted. He promised to send her letter to the committee. To impeach, if possible, the evidence of Arthur Slim, who testified that "a whole quart of raw acid was poured over my ulcerated leg," Fred Freeman, the ward orderly who dressed the leg, was placed on the stand. The treatment blank, showing what dressing and medicines were used, was placed in evidence. Nothing was used to burn. Slim also swore that he was "thrown out of the hospital at 11 o'clock on a cold night, with no shoes." The records showed that he was discharged at 11:45 a. m., and R. E. Crockett, property clerk at the hospital, testified that Slim had come to him and complained that his shoes were full of holes. Crockett said he gave the man a new pair of hospital slippers, after he had stated that they would suffice until he reached his room. The discharge blank also showed that Slim was sent away from the hospital for violating rules and for being abusive and profane. The record is an old one and was made long before charges were even contemplated. 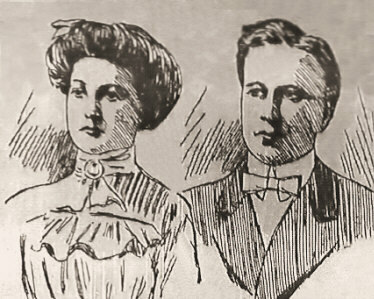 Ernest A. Baker testified that while he was dangerously ill with pneumonia his wife called up every hour for two whole nights, and each time was given his pulse, temperature and general condition. THIS BEATS THE WATER CURE. 30 Days for Two Women. Is it possible for two persons to drink 150 gallons of water in thirty days? That's what Gus Pearson, the city comptroller, is wondering this month after the Ozarks Water Company turned in a bill for $16 for the month of March. It wouldn't have been so bad if it represented the combined thirst of the city hall, but it was for the nurses' department in the emergency hospital alone. As there are only two nurses, the problem requires a scientist to solve it correctly. Each five-gallon bottle of the water costs 50 cents and there were thirty-two bottles used during the month. Naturally the representative of the water company made no complaint when he was called almost ever day to furnish a fresh supply. The nurses insist there was a defect in the apparatus and that most of the water leaked. at Burd & Fletcher Plant. While looking down the elevator shaft yesterday afternoon at the Burd & Fletcher Printing Company's plant 717 Wyandotte street, Walter Lillis, 16 years old, an errand boy, was caught between the descending elevator and the gate in front of the shaft. Before the elevator could be stopped the boy was "scalped." He was hurried to the emergency hospital, where he was treated by Dr. W. L. Gist. Though his injuries are dangerous, the physicians were positive that he will recover. The boy had looked down the elevator shaft and shouted an order to a man on the lower floor just before the accident occurred. He was not looking and did not hear the descending elevator until it struck his head. The scalp was torn loose from the occipital region of the skull and it required a delicate operation to replace it. The boy did not require an anesthetic during the operation. He was taken to his home at 662 Park avenue. Who Couldn't Remember Her Name. It was nearly 7 oâ€™clock before the girlâ€™s mind began to become partially clear and she answered several questions in a rational manner. A gold hat pin which Dr. Hess held out for her inspection seemed to revive a chain of thought. â€œWhy, a Mrs. Crittenden gave that to me,â€� she said. The clue was sufficient for the physician, who called up the mayorâ€™s home. Mrs. Crittenden was asked if she had ever given a hat pin to a young woman. â€œI remember giving one to Mary Costello, Mr. Crittendenâ€™s stenographer,â€� she replied. The girl looked up in amazement when her name was called. When William P. Costello, her uncle, was notified he took Miss Costello home. The girl, who is 19 years old, left Mr. Crittendenâ€™s real estate office in the Sheldley building last Monday, as she had been taken ill with the grippe. While the family was at lunch yesterday noon she slipped out of the home at 1410 Belleview avenue and her relatives supposed that she had felt well enough to visit friends. The physicians say her present mental condition is only temporary. "You are jollying, John, John Jones said to John Birmingham last night as the two sat in a store at 250 West Fourth street. For some reason the insinuation was objected to by Birmingham and he swung one of his crutches against John Jones's head. The crutch broke and so did Jones's head. Jones was taken to the emergency hospital and Birmingham to Central station. Both men were later arrested and charged with disturbing the peace. FARMER INTO A MAN HOLE. Perils of a Big City. F. W. Wright, a farmer of Henryetta, Ok., met with an unusual accident at Twelfth and Main streets at 4:30 o'clock yesterday afternoon. While walking east on Twelfth street Mr. Wright stepped upon the covering of a manhole which turned, letting him into the sewer opening up to his arm pits. When examined by Dr. R. N. Coffey at the emergency hospital Mr. Wright was found to be suffering from a contusion of the right chest and a severe abrasion below the right knee. Mr. Wright is 69 years old and the accident shocked him. He was able to leave the hospital later. INSANE MAN HAD A KNIFE. Sheffield Man Subdued by Police. Physicians at the emergency hospital were called upon to subdue two demented men yesterday. Wiley Stubblefield, who lives in Sheffield, was found by the police early yesterday morning in possession of a vacant lot in the east end of the city. He had a large knife with which he frightened every one away from him. The police subdued him after a struggle and took him to the hospital. The unfortunate man was strapped to a cot and given treatment.